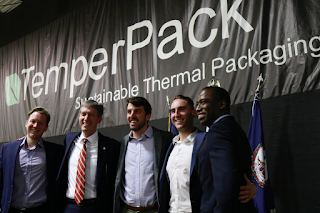 Today, Mayor Levar M. Stoney and Todd Haymore, VA Secretary of Commerce and Trade, announced the expansion of TemperPack into the City of Richmond. 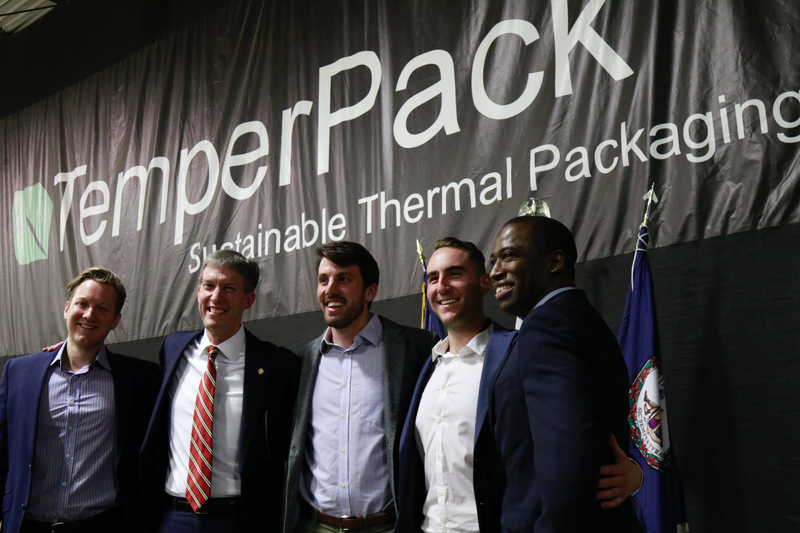 TemperPack, a manufacturer of sustainable packaging technology for perishable goods, will invest $2 million to expand their headquarters and manufacturing operations, creating 23 new jobs in the process. The company’s mission is to build revolutionary insulation products that help companies increase their cold-chain shipments while reducing their overall impact on the environment. TemperPack aims to bring to market sustainable packaging solutions that are compostable and recyclable and that consumers and companies feel great about using. “Our mission is to help companies deliver more to consumers while wasting less. There’s no better place than Richmond to achieve this – great employee talent, a rich tradition of high quality manufacturing, incredibly supportive government and close proximity to major highways that make distribution easy,” said TemperPack co-founder Brian Powers. The Virginia Economic Development Partnership will support TemperPack’s new job creation through its Virginia Jobs Investment Program (VJIP). VJIP provides consultative services and funding to companies creating new jobs or experiencing technological change to support employee training activities. As a business incentive supporting economic development, VJIP reduces the human resource costs of new and expanding companies. VJIP is state-funded, demonstrating Virginia’s commitment to enhancing job opportunities for its citizens.